As you may have noticed I recently bought a new planner. It's beautiful, although it arrived before the inserts did so I can't quite use it yet. Needless to say I'm watching the postbox like a hawk at the moment. There's another consequence of this however: because I'm not using the new planner yet it hasn't fulfilled my new planner needs. Some people get the urge to travel, I get the urge for a new planner. Of an evening I therefore find myself casually browsing eBay for a bargain, checking Amazon to see if things have come back in stock... I'm unstoppable! Mr S has at least three planners sent to him a day, always the same question 'what do you think?' It makes me feel better. 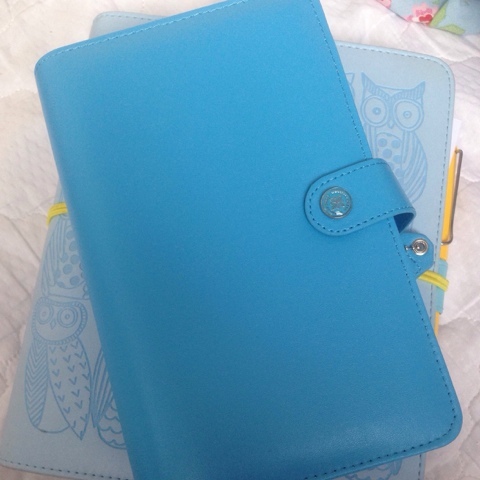 I don't know what it is that gives the urge for a new planner, there's nothing wrong with the one I've got. Perhaps it's the variety of colour and texture? Or looking at all those gorgeous set up pictures on blogs and Instagram. Browsing, especially browsing bargains, makes me feel like a kid in a candy shop. So how about you, do you suffer with plannerlust?